This past weekend I finally finished my I-spy disappearing nine patch! I started this back in 2008, and I finally quilted it this past weekend. It is so bright and cheerful that I am very happy with it. I also love how scrappy it is.It is approximately 81"x 94", so it will fit a full size bed. 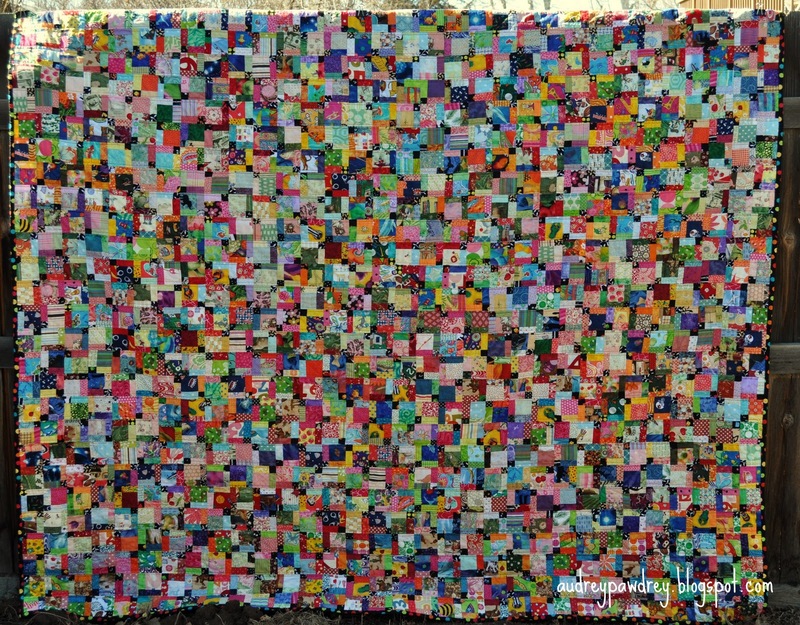 It contains 2,052-2.5" squares, and the little black squares are 3/4" square. I quilted it with simple straight lines going vertically. I used a polka dot on black for the binding. I started thinking about why it took me so long to finish this one, and I realized that I finished the top before I got my new sewing machine for my birthday in 2009. I couldn't quilt very well on my old machine, so I was tentative about using it to sew this top up. When I did get my new machine, I was pregnant, and it was really hard getting on the floor to baste. I then became distracted with new projects, but I am so happy I finally pulled it out to finish! I wanted to make a pieced back, and I had this great city print that I thought would work well for an i-spy type quilt. Here is a close up of some of the blocks so you can see the complete craziness of all the novelty fabric it has from tennis balls, kittens, golf tees, to footballs and bats. I had to include some Auburn fabric, too. 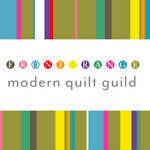 If you want to trace the journey of this quilt, here is where I have blogged about it previously. I also wrote a tutorial for the disappearing nine patch block if you would like to try it out! Wow! What a great way to use novelty fabrics. A kid could look at that for hours and hours and hours (and days and weeks and ...!). WoW is right!! That is awesome! This made me laugh: "I started thinking about why it took me so long to finish this one..." Could it be the 2,052 squares??? :) It's incredible! Oh my! It's incredible!! I'm just...speechless. I can't imagine how much work this must have been!! I spy... An Auburn Tiger!!! 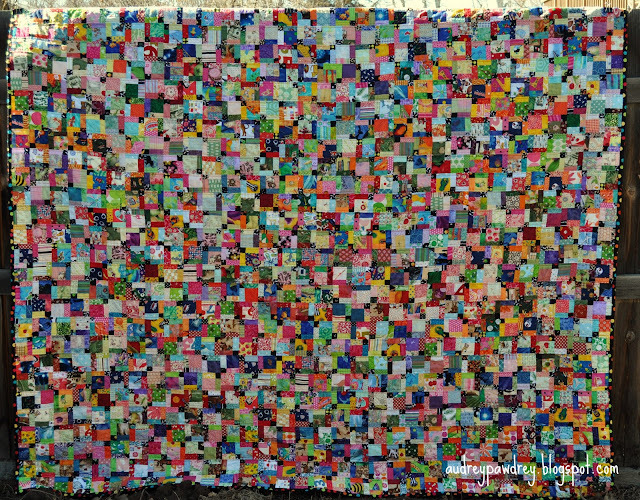 That is one truly amazing quilt, and finishing it has to feel terrific. So impressed! It is truly wonderful! I remember when you started it. 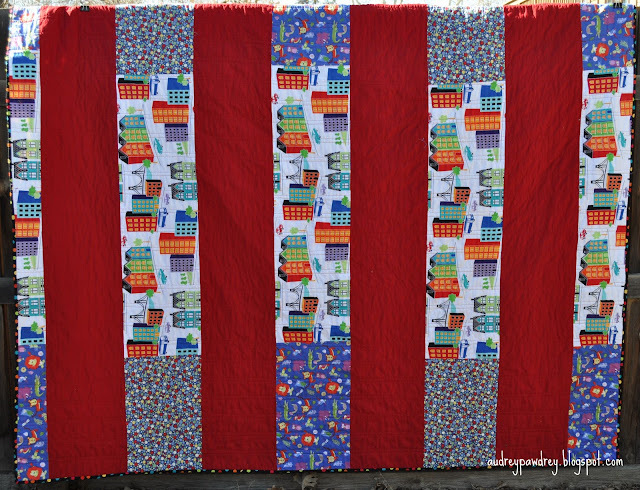 I think a kid will have loads of fun with this quilt and never get bored:) I love it. AMAZING!!! I love the scrappy nature of this quilt. Wowza, that's a lot of tiny little pieces. good for you for finishing it up! I am planning one of these in green with black and white accents. You are an inspiration. Audrey, your quilt is unbelievably awesome! 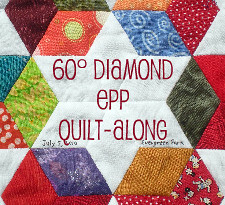 I found it via flickr, did a search for DNP as I am planning to make one soon. I will use your tutorial, but I plan to make mine with 5 inch squares so hopefully it won't take me quite as long! Oh my! Oh wow! Amazing! Hi Audrey! I saw your disappearing nine patch, and just had to make one! 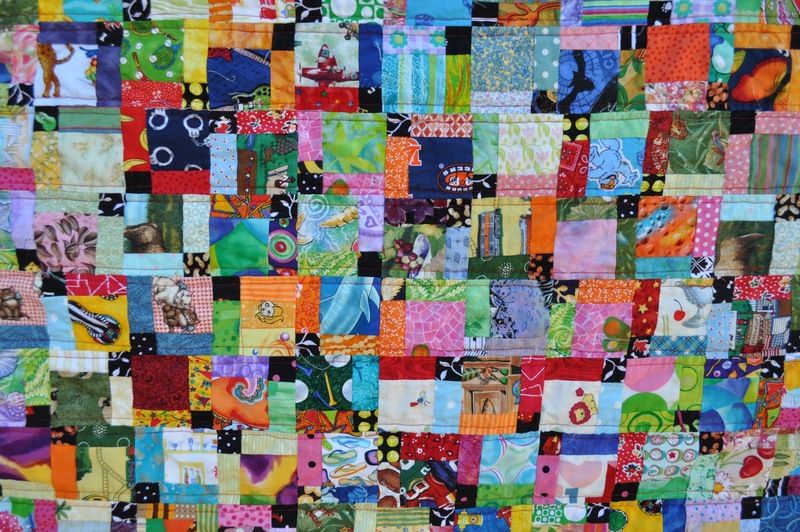 Your quilt is incredible and beautiful! Way to sew! I enjoy making and creating things as well as reading. I love modern fabrics and creating new things from little cut up pieces of fabric. I have been making quilts and recently discovered a love for little girl clothes. I love art,whether it is painting or textiles! All content on this site is (C) 2008 - 2017, all rights reserved, by Audrey Smith. Please respect my copyright by not publishing any of my photos, text or tutorials without my permission. You are always welcome to link to my blog. This is a Flickr badge showing public photos and videos from audreypawdrey. Make your own badge here.